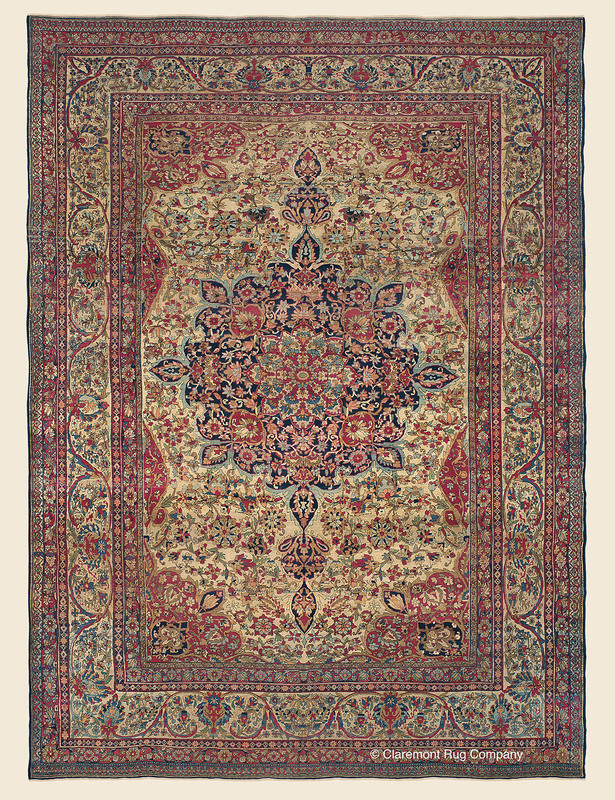 Search Our Inventory / All Rugs / 11&apos; 4" x 15&apos; 8"
11&apos; 4" x 15&apos; 8"
Very well preserved for its significant age, this majestic classical Laver Kirman carpet with its prevalence of exquisite light hues and sharply woven botanical depiction exemplifies the elegance and superb quality of our antique Persian City carpets. At well over a century, it is very well preserved for its age, with a luxurious wool quality that enhances its resplendent naturally dyed color. Closeup view captures the practiced commitment to precision this piece offers. Oversize formal carpets with such a light field and border can provide subtle, inimitably elegant refinement for a contemporary decor.